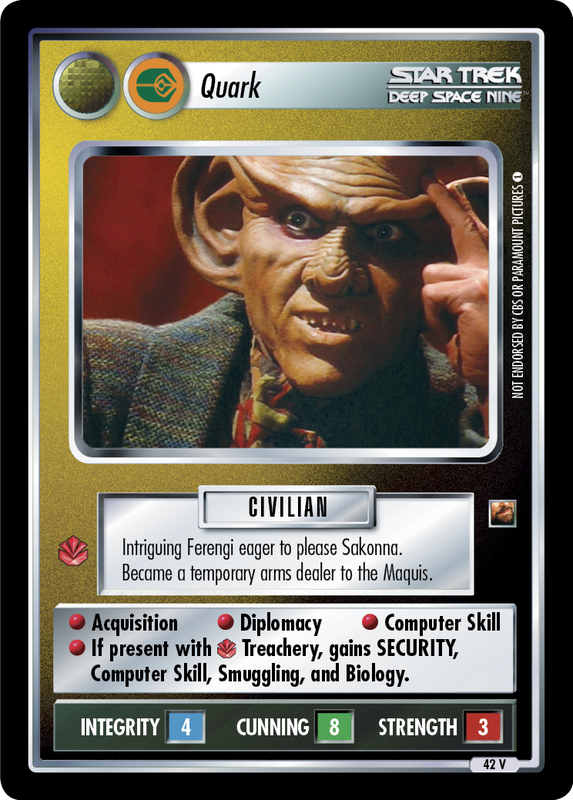 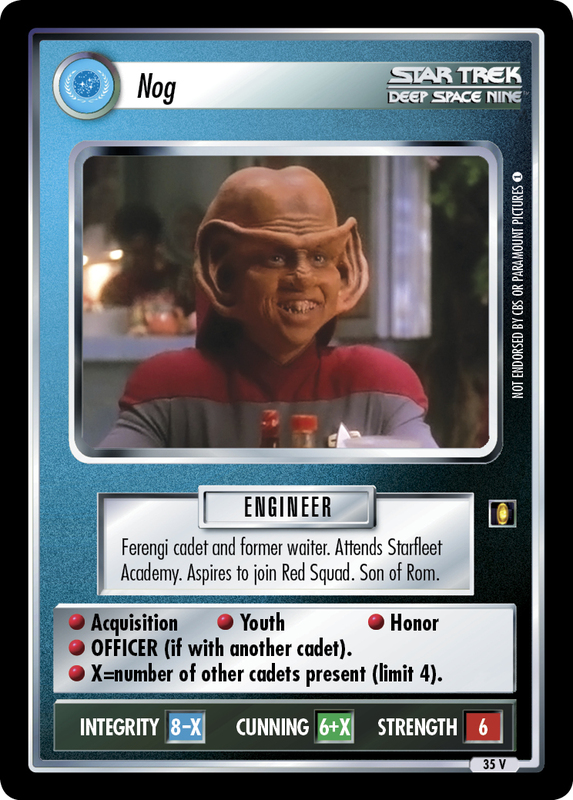 Brilliant yet befuddled Ferengi engineer. 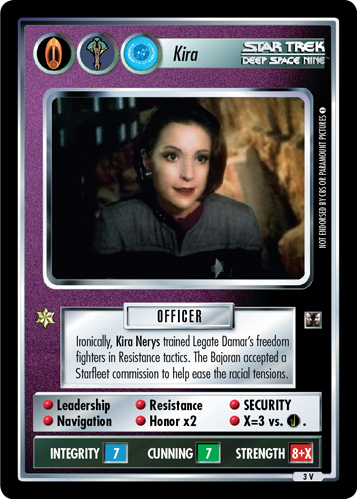 Works for the Bajorans aboard Deep Space 9. 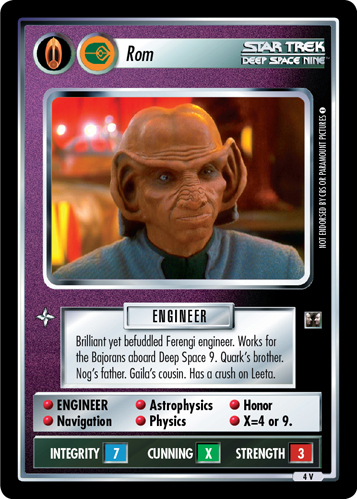 Quark's brother. 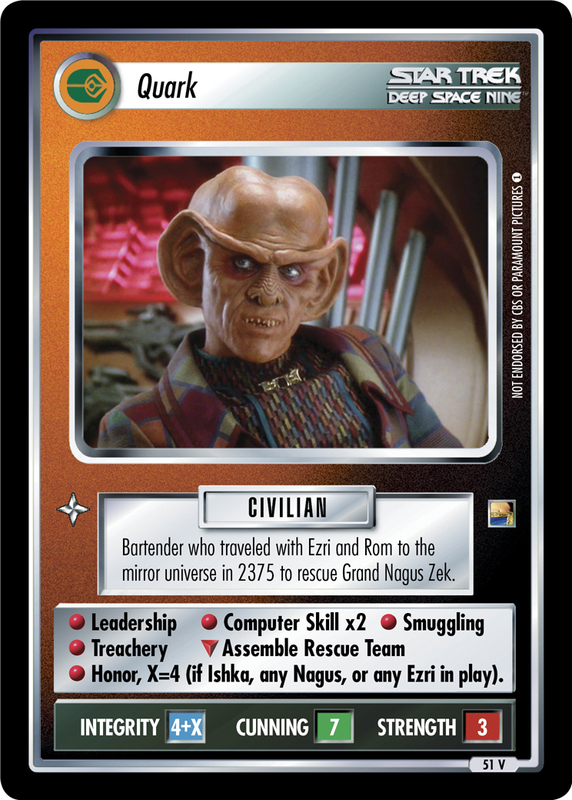 Nog's father. 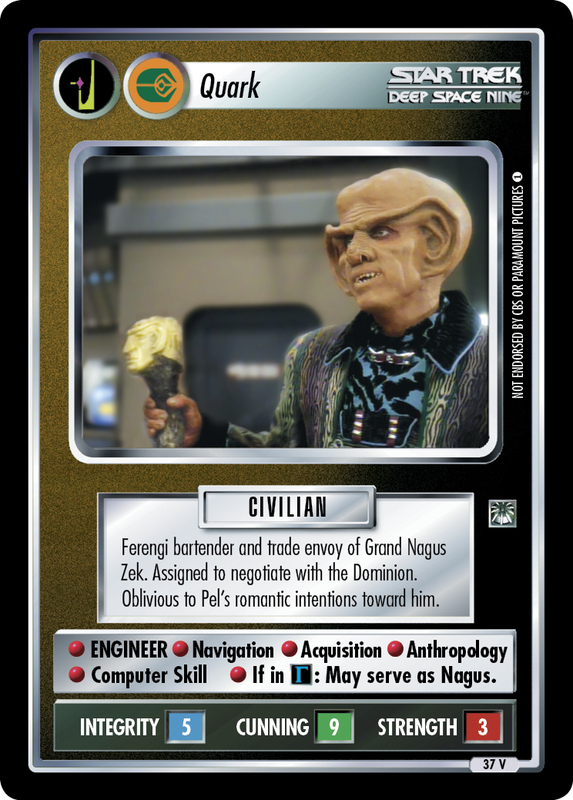 Gaila's cousin. 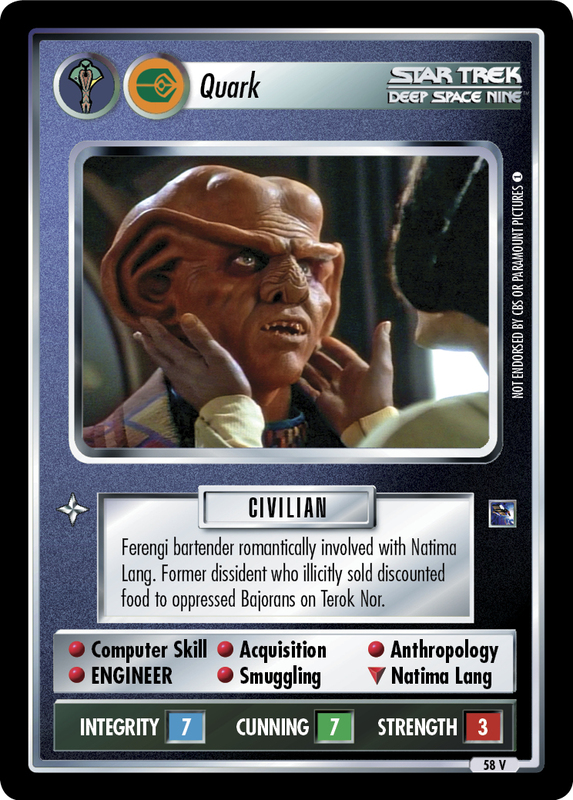 Has a crush on Leeta. 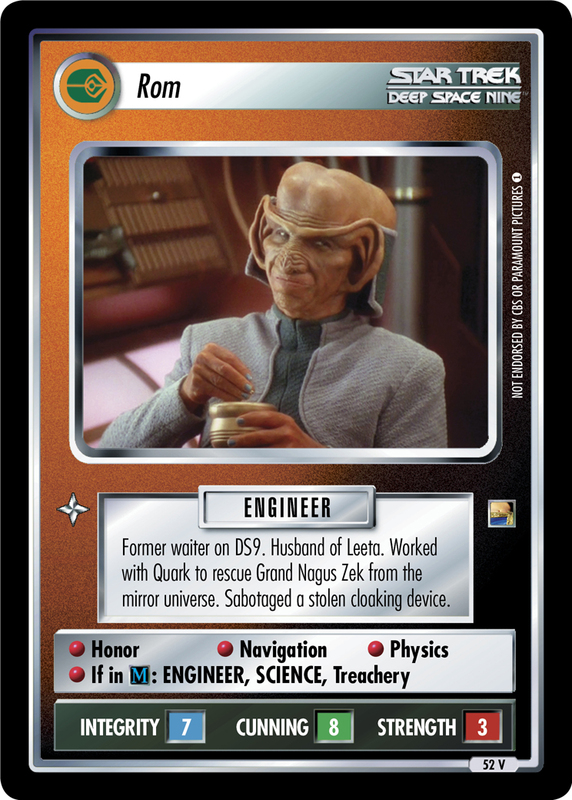 • ENGINEER • Astrophysics • Honor • Navigation • Physics • X=4 or 9. 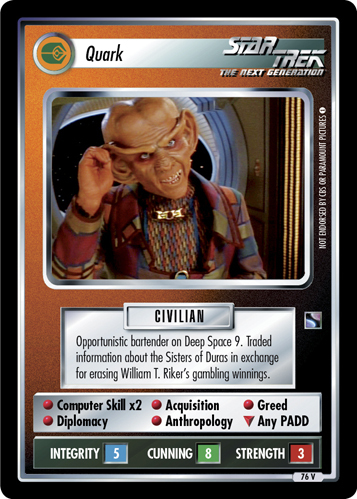 Image Source: Deep Space Nine: "The Assignment"